Attorney David Deal has been recognized by Super Lawyers for 2015 & 2016. "I Guarantee That I Will Work Harder Than Anyone Else to Make Sure Your Case Is Resolved in a Way That Is in Your Best Interests." Award-Winning Litigation Firm Fighting for You! 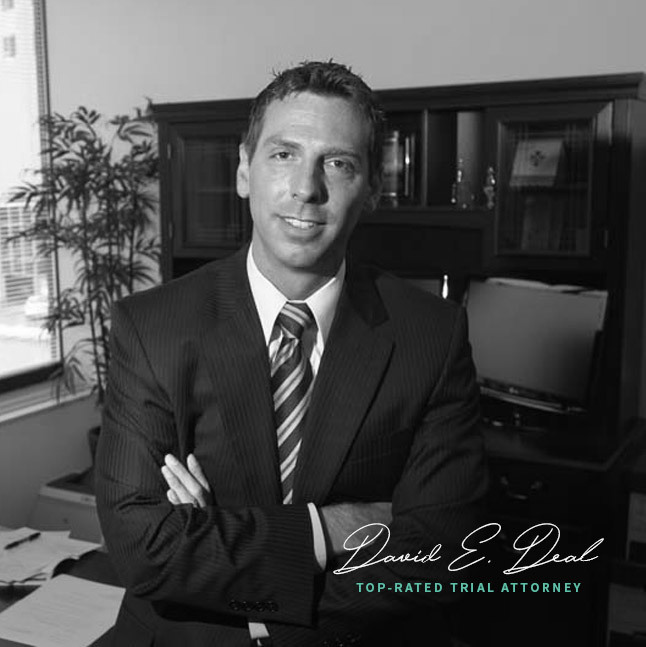 At David E. Deal and Associates, we strongly believe our clients cannot afford a criminal conviction or the medical expenses and property damage that can come with a serious injury. When so much is at risk, you will need to have a skilled Indianapolis lawyer at your side advocating for your rights.We know that there are always at least two sides to every story. Make certain your side is heard loud and clear with help from our law firm! Excellent Rating on Avvo, Inc.
Get your life back on track. Contact David E. Deal and Associates! Our Indianapolis firm has successfully handled many types of legal issues. No matter what you have been arrested for and no matter what type of criminal allegations or serious injuries you are currently facing, our team has the knowledge to handle your particular case. If you are currently facing a legal matter, speak with an Indianapolis litigation attorney at David E. Deal and Associates immediately. We are here to help fight for your rights and safeguard your future. We are available day or night, 24/7 for you to call and speak with someone at the firm. Contact David E. Deal and Associates today to request your free case evaluation! As a former prosecutor, Attorney David Deal is incredibly familiar with the law, the government, and how government officials evaluate cases. From firsthand experience, we know that many people fear the legal process simply because they do not know what to expect or are uncertain of the penalties to come if they are convicted. In addition to utilizing Attorney David Deal's years of aggressive litigation and trial training to create compelling, persuasive, and relentless defense strategies, our firm employs a staff of skilled and knowledgeable paralegals. Because we are committed to working closely with each of our clients, you can be informed of your rights every step of the way. Never leaving any stone unturned, every member of our firm works collaboratively to find evidence that can be used to your advantage. Attorney David Deal knows exactly how the government evaluates criminal cases – and how to defend you. Learn what previous clients have to say about working with our dedicated & experienced firm. If you've been arrested, time is of the essence. Contact us today to schedule your complimentary evaluation!